When on one side, Nikon has launched its full-frame mirrorless camera designs to serve pros and enthusiasts with a unique experience; Canon is working incredibly to create a remarkable impression with its unique features. New RF Lens Mount Ultimate Guide. Check it out! You might have observed that Nikon Z7 has many similarities to D850; in a similar manner, EOS R is following several features of EOS 5D Mark IV. Experts call the EOS series a revolution and the uniqueness of this new design can be explained by focusing on its detailed operation and features. It has a great EVF that ensures high-quality results. Follows dual pixel AF while working on 5,655 autofocus points. A wide range of options for customisation. Equipped with 5DM IV sensors in a tiny body. Popular for its advanced launch lenses. It supports the existing Canon EF-S and Canon EF lenses. Loaded with three adaptors where each one is dedicated for a specific purpose. The in-body image stabilisation feature is missing. It offers a low frame rate when operated in the continuous mode. Designed with single SD card slot. Experts are not satisfied with its battery life. Do not extend support to EF-M lenses. Market these days is loaded with so many latest designs of mirrorless cameras, and they are having a tough competition to mark their effectiveness for user needs. Here we are going to talk about Canon EOS R Camera that is loaded with new lenses, new mount and has a full-frame mirrorless body design with a completely articulated touchscreen. Many features of this camera unit are equivalent to EOS 5D Mark IV but with the added touch of strengths; it appears the best choice for all those who are curious to explore mirrorless photography. 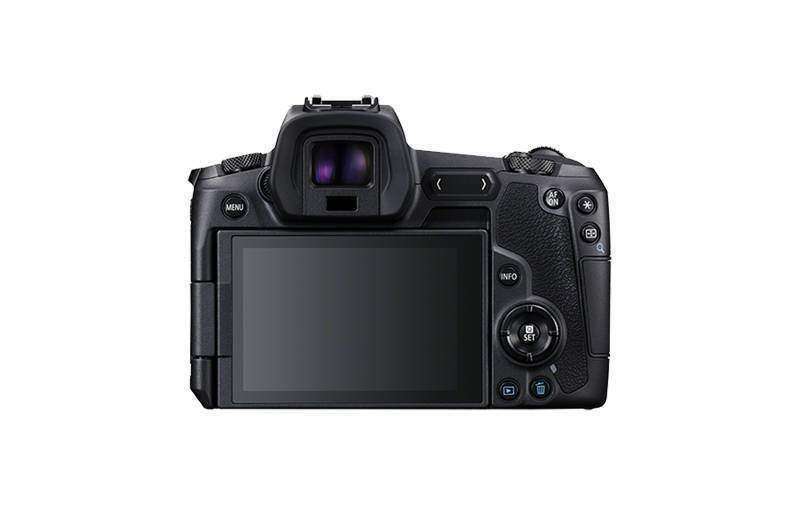 It is loaded with a 30.3 MP full frame type CMOS sensor. Comes with latest quality R lens mounts as well as lenses. Equipped with Digic 8 processor. Canon EOS R Camera has an impressive phase difference detection mechanism that works with 5,655 Dual Pixel AF Points. The M-Fn Bar can be customised to avail designed results. ISO 100-40,000 that can be further expanded up to ISO52-102400. Liquid crystal monitor with TFT colour system. It is rated high for its weather and dust resistant body. Loaded with 3.15 inch fully articulated touchscreen that serves 2.1 million dots. It has 0.5-inch EVF with 3.69 million dots that offers 0.71x magnifying ability. Designed with single SD card slot, Bluetooth, Wi-Fi, and GPS system. 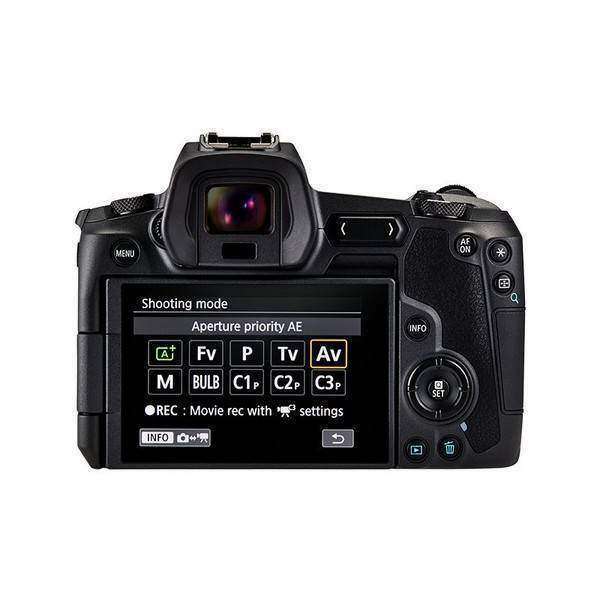 Offers 8fps burst shooting mode. Canon EOS R Camera can work upon 4K UHD videos with maximum 30fps range. It supports 1080p FullHD video with 60fps frame rating. The 720p HD videos can be obtained with 120fps frame rate. Lightweight design that goes 660 grams with a battery that offers longer lifetime. It has a reliable focus peaking system. While working on the detailed review of Canon EOS R Camera, first of all, let us start with the design. Most of the buyers might be interested to know how this camera unit can be compared with its many DSLR counterparts. Well! This camera unit is smaller in size, but it doesn’t mean you have to compromise on the build quality or performance. You can easily take this camera unit to some demanding environments ranging from rocky terrains, sunny spaces and to the sands. It has a fine grip offering easy access to all the buttons and dials. Although, in order to become familiar with its features, you have to spend more time on this camera. But as soon as you are able to know how to customize it to meet your needs; it can ensure incredible performance. Ranging from front to the rear portion of the camera, the design is entirely different as compared to other variants in the market. The manufacturers have addressed all the things very carefully; there is a dedicated video record button, AF-On Button and rear multi-directional control with dual command dials. Few controls appear little unorthodox on this camera; as like the standard PASM dial is missing. The MODE selection button is placed inside the thumb control dial, and you will also find a separate lock button. If we talk about the mode dial, it is little modified with the new Flexible-priority or Fv shooting mode. With this feature, you will be able to switch rapidly between Av, Tv, ISO and exposure compensation via the top/rear dial. There is a new touch bar type M-Fn Bar control on the right side of the EVF. Users can directly swipe right or left to adjust or control the settings and need to tap to confirm/select. You will be happy to know that this button can be customized to add a quick control setting as like white balance, ISO speed, AF or movie shooting, etc. Other than this, Canon EOS R Camera has an eye sensor, 23mm eyepoint, 0.76x magnification, and 100% field of view coverage. Same as EOS 5D Mark IV, Canon EOS R Camera is also loaded with an advanced full-frame CMOS sensor that can capture fine details with 30.3 MP rating. Dual Pixel RAW function that allows users to create a larger RAW file with dual photo bodies of this sensor. It is loaded with many inventive post-processing options that help to achieve top quality sharpness for every shot. It also extends support to ghosting reduction, bokeh shift, and microfocus adjustments. Although Nikon Z7 is offering ultimate picture quality with 45.7 MP sensor unit; you will also be satisfied with the details produced by Canon EOS R Camera with its 30.3MP sensor unit. Canon EOS R Camera is loaded with Digic 8 image processor that ensures powerful operations with higher performance. EOS R is gaining more popularity for its native range that varies from 100 to 40,000. This ISO range can also be expanded down to get ISO 50 value and can also be shifted up to achieve 51,200 and 102,400 level. Other than this, Canon EOS R Camera makes use of Dual Pixel RAW functionality that allows users to enjoy several micro adjustments for bokeh, focus, and other ghosting properties. With 0.05 seconds, Canon EOS R Camera is known for the world’s fastest autofocus system. Note that EOS R is loaded with a phase difference detection system that is added to its image sensor. 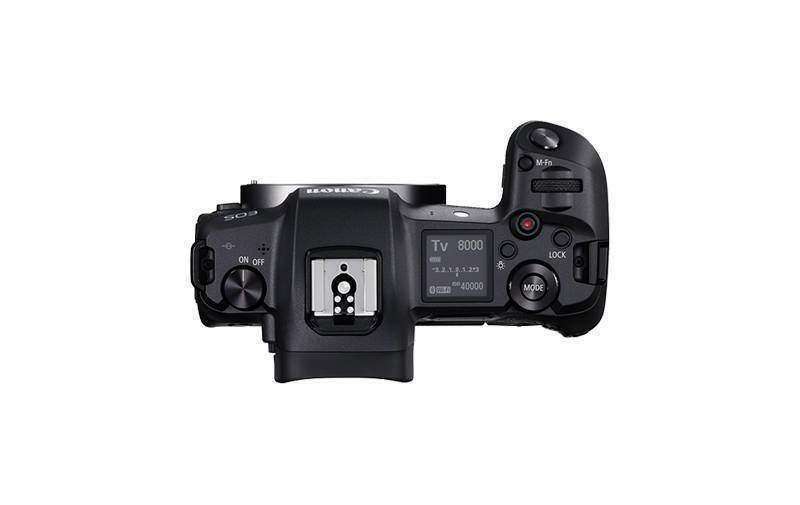 It is considered as the finest variant to Canon’s dual pixel autofocus technology. 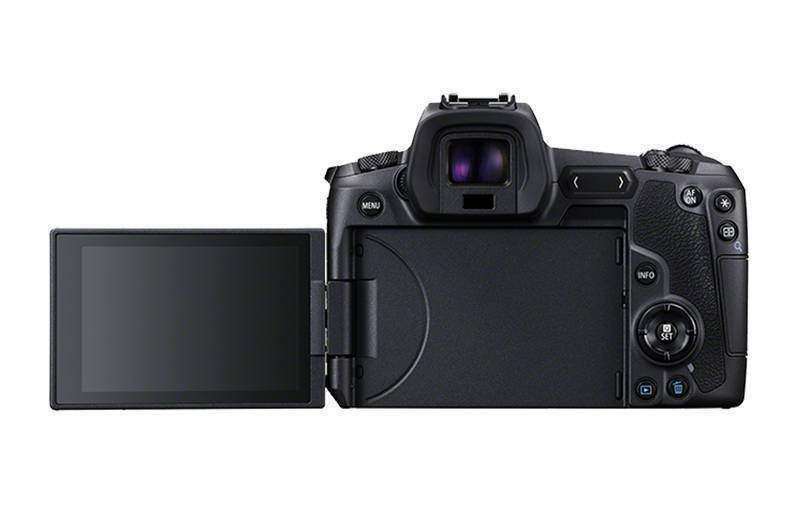 It can handle 5,655 focus points that are far better than the Nikon Z6 and Z7 autofocus system having only 273 and 493 focus points. You will be impressed with its advanced one-shot AF that works with a wide range from EV -6 to 18. It offers the finest performance even when a person is shooting in dark conditions. It supports an array of best autofocus methods including Face+ Tracking AF and the advanced eye tracking AF with S-AF. Although Canon has a great history for DSLR cameras with its vast EF lens lineup; but the major benefit at this stage is EOS R’s capability to handle adapted EF lenses that seem great addition for advanced photographers. With the high-quality native RF lenses. Canon has proven its edge for ensuring top-notch performance for mirrorless AF using dual pixel CMOS AF technology. You can expect great results with Canon EOS R Camera for videos and pictures as well. The 5,655 manually selectable AF points help to cover around 88% frame in horizontal direction whereas 100% are included in the vertical direction with the help of select EF lenses and RF lenses as well. The shutter speed for EOS R varies from 1/8000 to 30 seconds; you will be able to access three different shutter options with Canon EOS R Camera; they are electronic first curtain with mechanical, fully mechanical and fully electronic. The X-Sync speed is observed to be somewhere around 1/200 sec. If you are searching for the burst shooting feature, Canon EOS R is found to be fast enough; however, we cannot call it a top-notch because it allows only five frames per second for continuous shooting while using Servo AF. In case if you don’t want to work on continuous autofocus, you can move ahead to 8fps. On the other side, EOS R buffer capacity leads to respectable performance with initial specs. If you switch to RAW shooting mode while keeping the burst speed higher, EOS R leads to the maximum buffer depth of 47 frames when you work with fast UHS-II card; C-RAW can help to increase it further to 78 frames. In case of C-Raw + JPEG, RAW + JPEG and JPEG shooting the butter depth generally reach up to 56 frames, 39 frames and 100 frames respectively. With its lots of new features, Canon EOS R Camera has also employed new and advanced lens mount system that corresponds to the lens lineup. Note that the RF mount here is designed with a 54mm diameter, but the EF lenses are not much compatible to the system. The professionals at Canon believe that the new mount is helping them to create new age lenses that will be much effective as compared to the older systems. Other than this, it has 12 pin data system, a new Digic 8 processor and shorter 20 mm back focus leading to faster computation and reliable communication. Those who are looking for a camera to enjoy video shooting will definitely find Canon EOS R Camera more useful. You can also enjoy 4K UHD recording; however, the professional’s specs are yet to be improved in this case. Same as 5D Mark IV, Canon EOS R Camera also allows users to capture 4K UHD videos, but the frame rate is limited only up to 30fps instead of 60 fps in a competitor. Canon EOS R Camera also offers C-LOG option that works externally and internally as well. Experts reveal that its clean HDMI output is somewhere around 10 bit 4:2:2; this camera also makes use of the BT.2020 colour matrix instead of BT.709. You can also switch to full HD recording that is supported up to 60fps frame rate. In case if you want to go for higher shooting speed, it is better to switch to 120fps, but in that case, you can work only up to 720p HD resolution level. One more interesting thing to know about Canon EOS R Camera is that it offers a wide range of compression options for all video resolutions except 720p30fps range. The list of compression schemes includes space-saving IPB compression and higher quality ALL-I. The internal video recording works with MP4 H.264 encoder, and the audio can be recorded with Linear PCM for the ALL-I system and AAC for IPB. The crop factor for 4K video is somewhere around 1.7x. When we talk about wireless functionality, the Canon EOS R Camera allows users to access Wi-Fi as well as Bluetooth connectivity option; however, the built-in GPS and NFC options are missing. Users can also transfer images and enjoy distance-based controlling with the help of a remotely connected smartphone. In order to work remotely, you have to install Camera Connect App first. It is also possible to transfer images wirelessly using EOS Utility application. 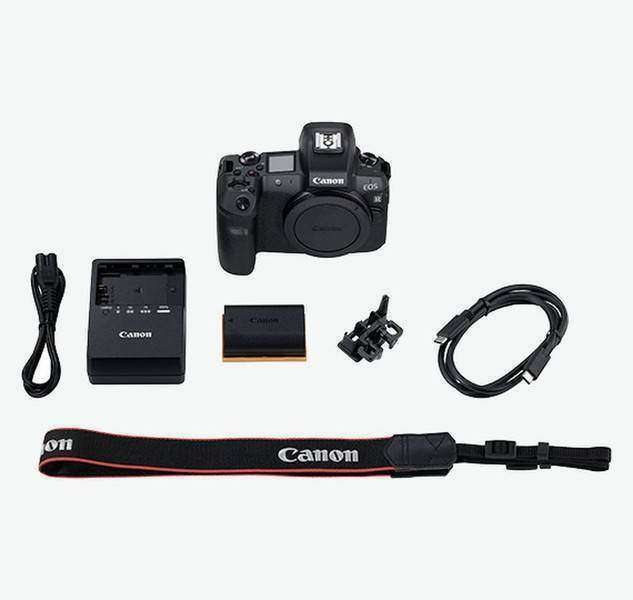 In case if you are looking for the wired connections, Canon EOS R Camera allows users to use Mini HDMI Type C port, USB-C SuperSpeed USB 3.1 Gen 1 Port and remote release jack. This camera also has a 3.5mm stereo microphone as well as headphone jacks. People rate this camera high because it allows them to store videos and images directly to the SD cards. This camera unit is loaded with an LP-E6N battery pack that offers an estimated battery life of 350 shots/charge when you are working on EVF and around 370 shots when a person is using LCD. However, if you switch to the power saver mode, it is possible to boost the range up to 430 and 450 shots resp. The Eco mode is one more wonderful addition to Canon EOS R Camera that allows users to extend battery life up to 540 to 560 shots per charge while working on LCD. You can expand the battery life using a BG-E22 battery grip, and it is also possible to keep it on continuous charging mode using a DC coupler or an AC adaptor. The EOS R camera has a flexible 3.15-inch Vari-angle LCD that makes it easy to compose and shoot from virtually any angle. Its touchscreen enables settings changes and more with just a tap. 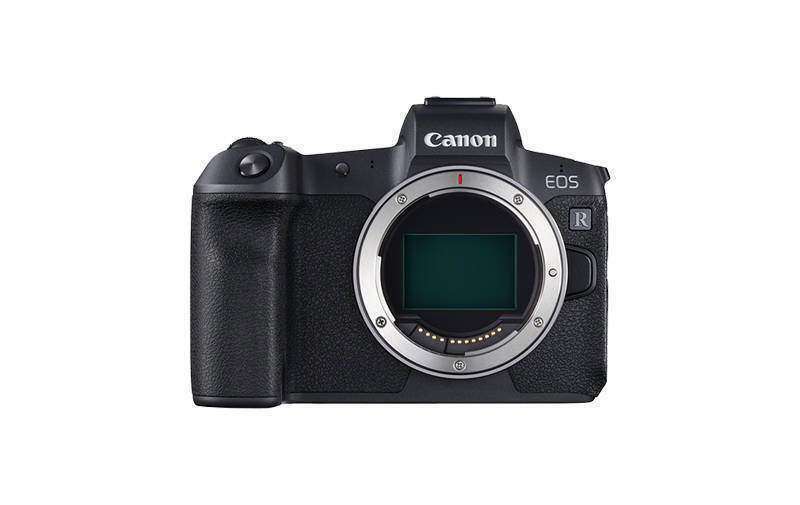 There is no doubt to say that Canon EOS R Camera is loaded with all advanced features and it can serve beginners and advanced users as well with satisfactory performance. It can be rated high in terms of looks, functionality and control features as well. The price range for this latest camera unit is also reasonable, so anyone can think of investing in this product. You can go online to check available pricing details on different websites and place order to avail doorstep delivery as soon as possible. Carey Rose from DPReview has a full review about this camera. Check it out! 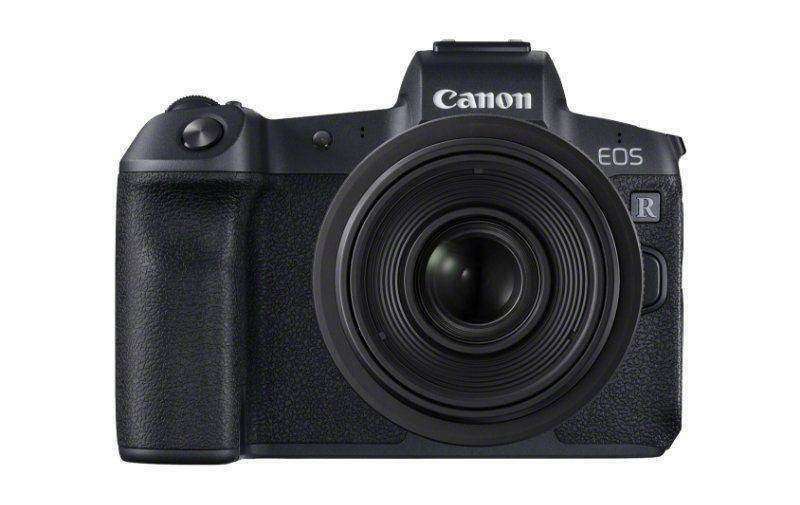 Canon EOS R is currently available at a reasonable price, and it offers great value for the money. Below you can order this product online to enjoy fast delivery at your doorstep. Shop Newly Arrived Items at KEH today!